Érik Isaac Morales Elvira (born September 1, 1976) is a Mexican professional boxer. He is the first Mexican-born boxer in history to win world titles in four different weight classes. He is a former WBC Light Welterweight Champion, WBC & IBF Super Featherweight, WBC Featherweight (x2) and WBC & WBO Super Bantamweight Champion. On March 19, 2005, Pacquiao moved up in super featherweight, or junior lightweight, division of 130 pounds, in order to fight another Mexican legend and three-division world champion Érik Morales for the vacant WBC International and vacant IBA Super Featherweight titled. The fight took place at the MGM Grand, Las Vegas. 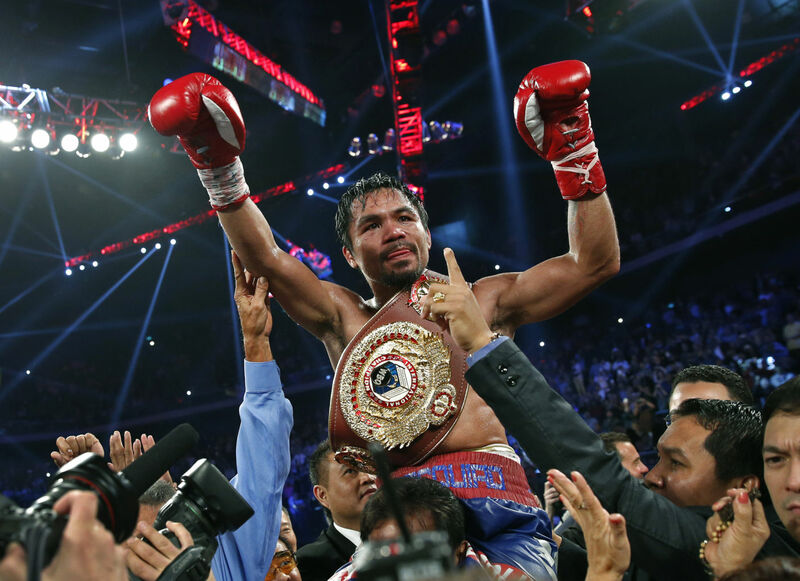 In this fight, Pacquiao sustained a cut over his right eye from an accidental clash of heads in the fifth round. He lost the twelve-round match by a unanimous decision from the judges. All three scorecards read 115–113 for Morales.